I see changes I want to make to Tree Top Paradise. While I was doing that, I started thinking of other depictions of paradise in art history. 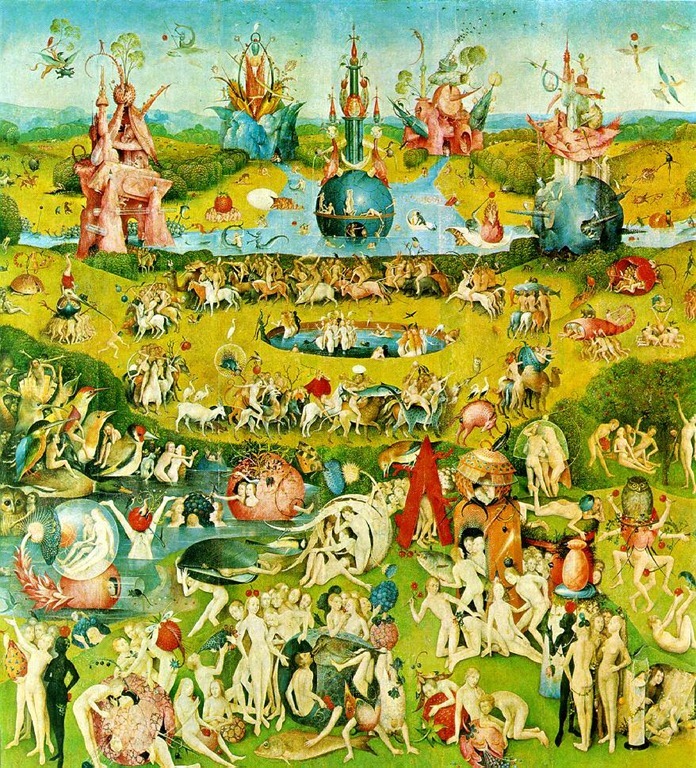 The strangest has to be “The Garden of Earthly Delights”, by Bosch. You can spend a long time just looking at the various figures. It reminds me of today, when people find pleasure in the strangest things…commercialism, decadent music,etc. I don’t mean to be a prude, but it seems kind of odd to me.